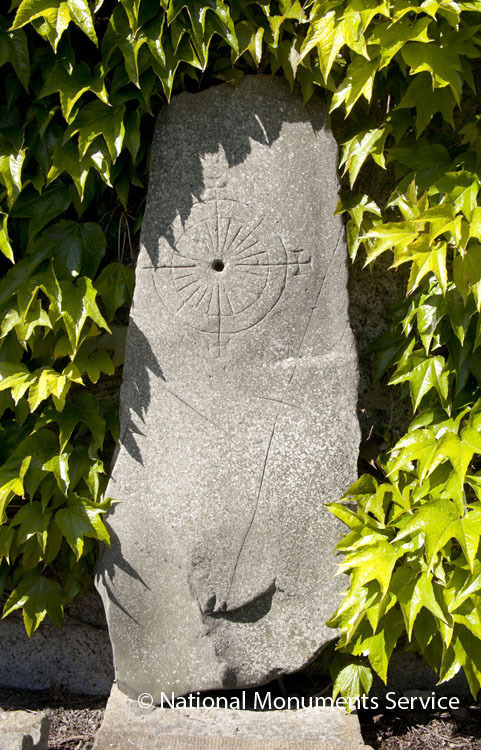 A structure used to show the time of day by means of the sun shining on a 'gnomon', the shadow of which falls on the surface of the dial, which is marked with a diagram showing the hours. Can be freestanding, usually on a pillar, or fixed to a building. These date from the medieval period (5th-16th centuries AD) onwards.